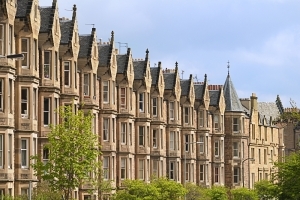 UK house owners have received a bit of good news regarding property prices and the outlook for coming months in the latest release of economic data. Figures from Rightmove indicate the market could be staging a comeback in house prices as well as other areas. Property values have rebounded in the past month to April 6. Prices increased an average of 1.1% during the last thirty days which is a leap of £3,447. Some housing experts see this data as a precursor to possibly some more positive moves as Brexit has been put on hold. Confidence in the market could prompt a turnaround in demand in the opinion of some close to the housing market. Many property owners chose to go with a wait and see approach as talk of Brexit ramped up over the past eighteen months. This caused a lag in the amount of demand for property and thus caused a dip in house price growth. It is possible with a boost in confidence from a Brexit delay that demand will increase over the coming months and into the summer. Summer is quickly approaching. The strongest time of the year for activity of any kind within the housing market is the summer selling season. Transactions are in high gear at that time and some experts believe that will be the case this summer as well. Not only will it be a favourable time to potentially put a property on the market for sale, but it will also be a fine time to check out what remortgage can do for a family budget and financial health going forward.